Basement Flooring Options: What Flooring Requires The Least Maintenance? If you’re looking to remodel your basement, one of the most important decisions you need to make is deciding on flooring options. Some flooring options are durable enough to withstand the moist environment of most basements while others just aren’t cut out for use in a basement. Before you choose the final flooring option that you’ll use, you must consider maintenance, durability, and style. The first two factors determine how long your flooring will continue to function after it’s installed, and how much work you’ll need to put into your flooring to keep your space looking nice. The third factor, style will be decided based on your final goals for the remodel. What are your plans for the basement? Will you use it for storage? Will it be the ultimate man cave with a wet-bar and kegerator? Is your brother-in-law planning an extended visit? Whatever your motive, we’re going to review each of the most common basement flooring options, discuss their pros and cons and we will explain which of them requires the least amount of continuous upkeep. If you’ve been thinking about different basement flooring options, you’ve probably thought about ceramic tile. Ceramic tile is used in showers, kitchens, bathrooms and other environments that have the potential for humidity and contact with water. Ceramic is well-known for its durability, beauty, and water-resistance. Naturally, it is a flooring option that should at least be considered when you’re searching for a flooring option that’s going to be low maintenance once installed. Ceramic tile flooring isn’t too difficult to install, and it’s available in a wide range of colors and styles, making it easy for you to customize your basement to look just the way you want it to. Once you choose the tile option that you like best, and you have it installed in your basement, you’ll enjoy good solid performance throughout the years. The tiles hold up well to wear and aren’t prone to scratches or water damage. High-quality ceramic tile won’t absorb any water, which makes it one of the best basement flooring options when it’s going in a damp location. Ceramic tile does require periodic maintenance. The grout material that’s used in between each of the individual tiles should be cleaned regularly and eventually it will need to be replaced or touched up as it wears out. Even though ceramic tile is very durable and unlikely to wear out for many years, the grout in between the tile will wear and stain even though the integrity of the tile depletes. 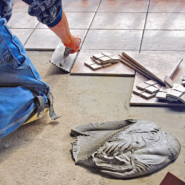 It’s important to stay on top of grout maintenance as the owner of a ceramic tile floor to make sure that the floor continues performing as it should for many years. Another important consideration to make when you have ceramic tile flooring is that the flooring can be brittle. It’s easy to crack ceramic tile flooring if you drop a heavy object on it or even put too much weight on the floor gently. As the owner of a ceramic tile floor you also have to think about extreme conditions. 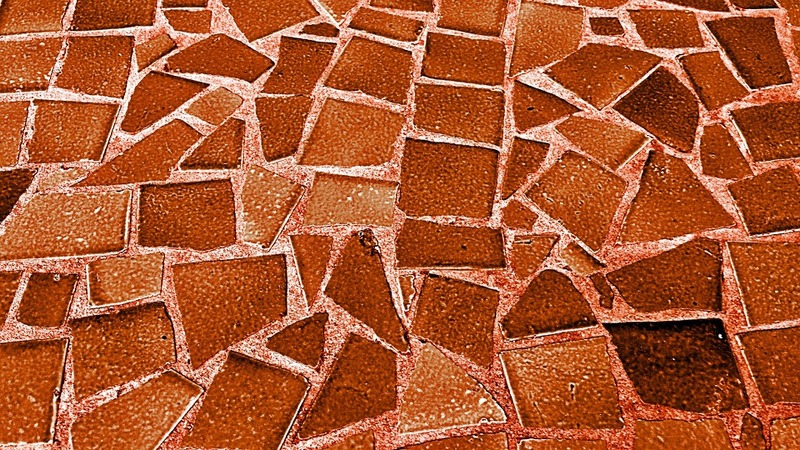 Some ceramic tile is prone to cracking in extremely cold temperatures depending on the moisture content in the tile. It’s important to choose a ceramic tile option that has a very low moisture content if that tile is going to be used in extreme temperatures. Keep this in mind when thinking of ceramic tile as one of your basement flooring options because it is not recommended in specific situations involving temperatures fluctuation and heavy objects. When considering different basement flooring options, vinyl tile flooring is an attractive option for a few different reasons. It’s softer than concrete or ceramic tile, but still offers much of the same durability benefits that the other flooring options have to offer. Vinyl tile flooring looks like tile, but feels slightly softer and warmer than ceramic tile does. It can be swept up rather than vacuumed to prevent dust and dirt buildup over time. Vinyl tile doesn’t require any special cleaning products, and it’s highly resistant to moisture and temperature changes. This makes it better for extreme temperatures than ceramic tile is. If you’re searching for flooring that can survive in most conditions well, you will love what vinyl tile flooring can offer you. Vinyl tile flooring is a special sort of vinyl material that’s thick and in a plank or slab shape. The different pieces lock to one another somehow, forming a complete flooring solution. The special planks or slabs are simple to install and can often be used even if the floor isn’t perfectly level when you install them. The tiles can be locked to the floor permanently with some installations, but others just rely on friction to hold them in position during use. Vinyl tile flooring is an interesting option that comes in a wide range of colors, textures, and looks. This synthetic material can be made to look like just about anything else, so you can achieve the look that you want with this flooring. 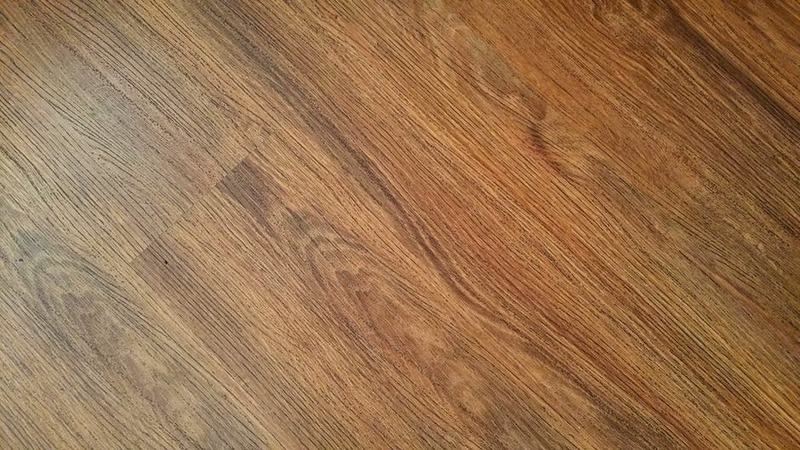 It doesn’t matter if you want your basement to look like it has stone flooring, wood flooring or something else, chances are good you can find a vinyl flooring option that will fit the need well. Vinyl tile flooring is also a low-cost flooring solution that’s likely more affordable than concrete flooring is and simpler to install. There are some considerations that you need to make with vinyl flooring though. The flooring feels softer than concrete or ceramic tile because it is softer. That’s good news for comfort reasons, but it means that the flooring is easier to damage as well. While it won’t suffer from cracking and chipping like the other more brittle flooring options can, it will rip, tear and scratch more easily. It’s slightly less effective for use in spaces where pets with sharp claws are going to be frequently walking. Vinyl tile flooring is one of the best basement flooring options and it is a very low-maintenance solution, but it does come with some very real considerations that you need to make while using it. Keep these things in mind if you’ll be using this flooring solution and you shouldn’t have any issues. Out of the three basement flooring options covered here, the flooring type that requires the least amount of maintenance is concrete. Concrete flooring is harder, more durable and more water resistant than the other flooring options are. When most people hear the word concrete, they think of cold or industrial spaces that are devoid of style. That doesn’t have to be what your basement looks like though even if you do decide to use concrete for its durability benefits. Concrete flooring can be painted, and textured to give it all sorts of looks. 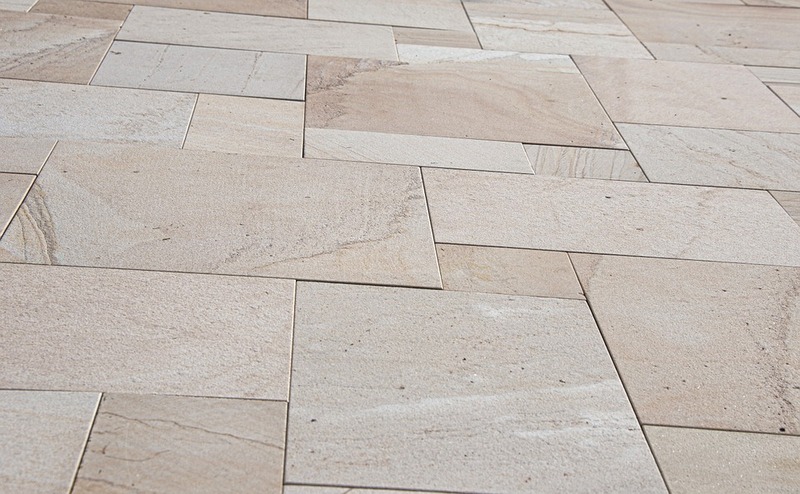 You can make concrete look like stone, tile, granite or even wood flooring if you really want to. Concrete flooring can be tinted, etched, acid washed and formed to give it a unique appearance. Concrete is considered one of the top basement flooring options because after it’s installed, there is little that you need to do in order to keep it functioning properly. Use basic surface cleaning tech​​​​niques to keep the floor nice and clean over time, and you’ll enjoy its long-term performance. As long as you take care not to drop heavy objects on the floor, and you clean it once in a while, your concrete flooring should hold up for many years in the basement of your home, even if there is some moisture in the space during that time. It’s important to keep in mind that concrete flooring is costly to have installed, and it requires a high level of expertise to put in properly. A concrete floor throughout your basement is not a DIY job, and you should be prepared to pay professionals if you want to enjoy all the benefits that a high-quality concrete floor has to offer you. Choosing your flooring is never easy, but it’s one of the most important decisions that you’ll make when finishing your basement. The wrong flooring type won’t just make your space look poor; it will hurt the functionality. Whether you are creating a man cave, a game room, a gym, a home office or studio, nobody likes solutions that require constant maintenance and upkeep, and that’s exactly why we outlined some of the easiest and most manageable flooring options. Concrete was our favorite option for being the easiest to maintain over time overall and the most durable, but vinyl tile and ceramic tile both have their benefits as well. Vinyl tile is affordable, softer, warmer and more comfortable than the other two solutions. It also holds up well to extreme temperature changes and can withstand impacts with less damage than the other flooring options. 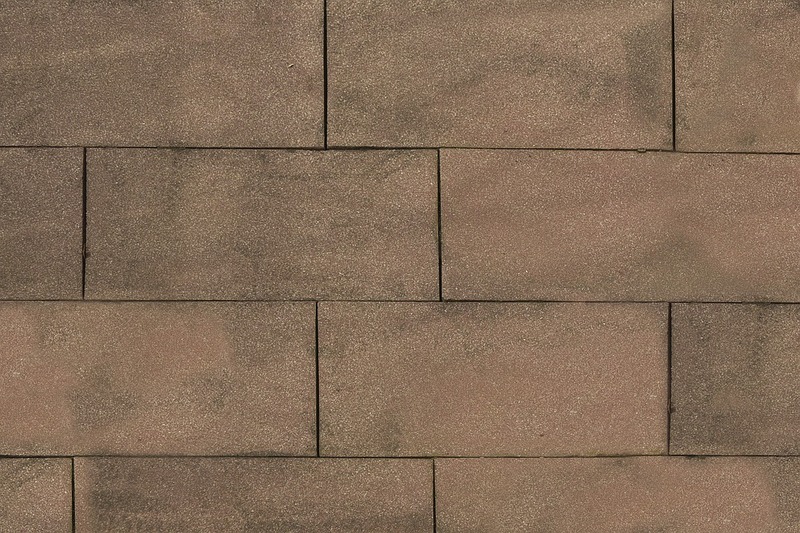 Ceramic tile is more affordable than concrete, comes in a wide range of colors and shapes and can be installed more easily than concrete while offering similar performance characteristics. Choose the flooring option that’s right for you and enjoy your finished basement.